Displays all database objects like – records, tables, triggers, rules, functions, etc. Surprised to know that I could get my deleted records back. I could get clear preview of my SQL data with this viewer tool. Nice invention! A handy software to view complete MDF file information. It recovered my highly corrupted SQL data in minutes. Such a advance MDF viewer tool. MDF viewer software easily retrieves data from all type of SQL Server database files whether healthy or corrupt and makes it available for preview. All sort of MDF files can be viewed with this tool for any query and other purposes. Without accessing any SQL Server version, users can open MDF files with this software. It saves time and eliminate the need of SQL Server for accessing its database files (MDF/NDF). The efficient software retrieves entire SQL database objects. It previews MDF file contents like tables, views, indexes, checks, rules, triggers, primary keys, unique keys, stored procedures, foreign keys, default values, and user data types. The Free MDF Viewer software offers two modes of selecting SQL Server database – Automatic selection and Manual selection of database. You can select either of the options for your SQL Server database addition. In manual selection, it allows you to direct add your choice of SQL Server with file. 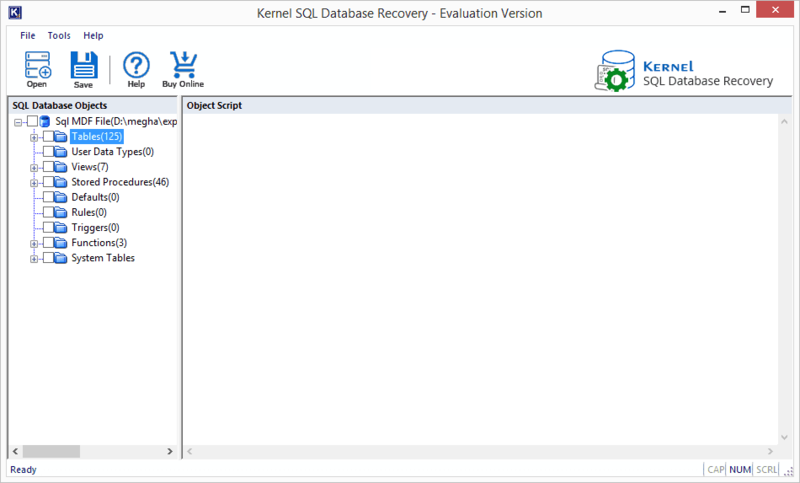 The tool restores all type of SQL Server database files whether large-sized or with any sort of corruptions. It even recovers deleted records and extremely corrupted MDF files from SQL Server database. Once the MDF files data is opened with this free MDF Viewer software, all its content is available for preview. With just a click on the required file items, users can read its content well with a clear and wide preview section. Free MDF Viewer tool shows compatibility with database files having UNICODE characters. Users can view such MDF/NDF files data easily with any size of database files with complete integrity. I want to confirm if this freeware saves any amount of data from SQL database? No. 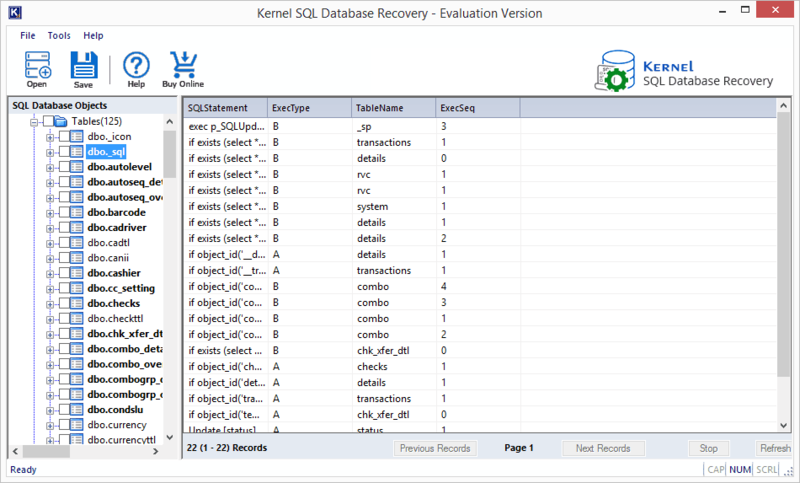 With this Free MDF Viewer, you can only view or read recovered data from SQL Server database file. 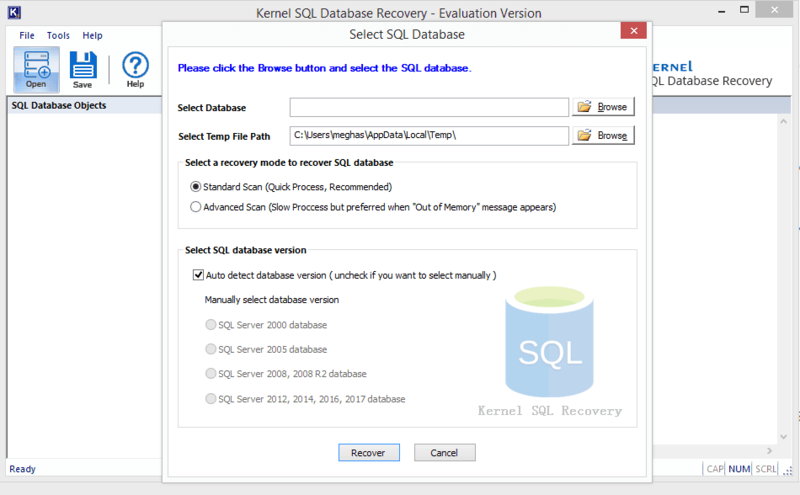 To save the required data, you need to purchase its full version Kernel for SQL Database Recovery tool. Does by just adding the MDF file only, the software retrieves data, or we need to mention the Server version as well? After browsing and adding MDF file, you need to select SQL database version with 2 options Auto-detect database version or Manually select database version. As the name suggests, you can select database versions automatically or by entering it manually. What are the saving modes in the full version of the software? Two saving options are there. 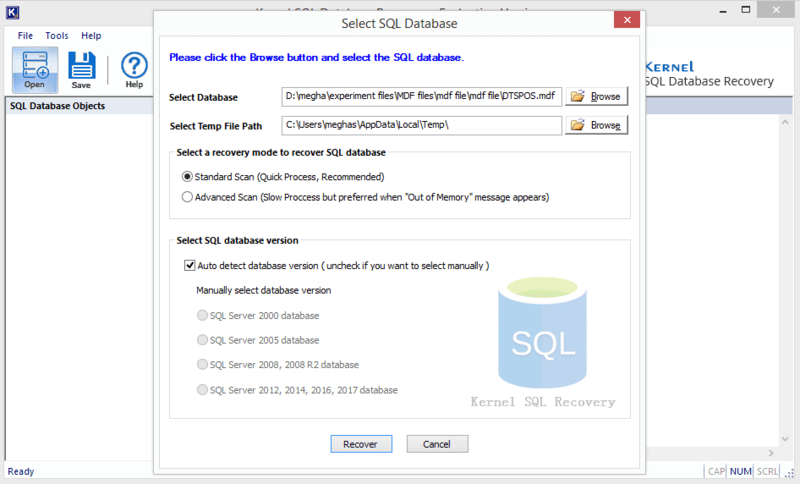 First, you can save the data on the running SQL Server database or create a new database and save it there. Or, you can save the data at the system location as a SQL script as Batch file and later add it to your Server database using SQL Server Management Studio. How can I add saved batch file (SQL script) to my SQL Server? 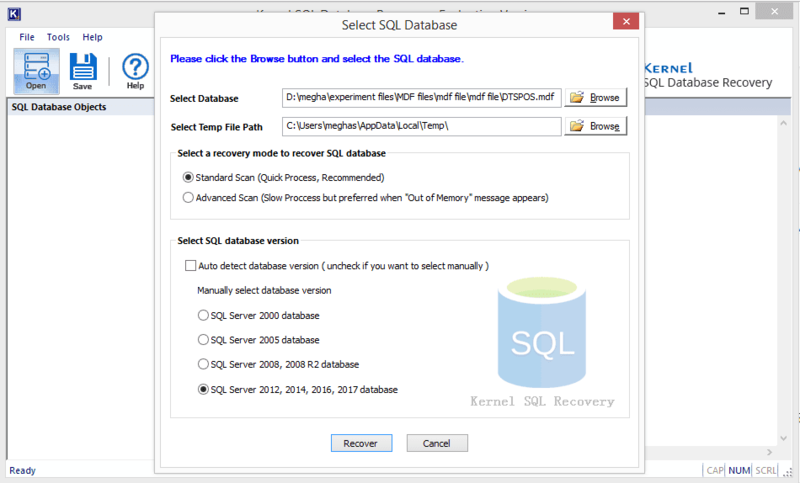 To copy the recovered objects from the saved SQL script to new database created on SQL Server, perform the following steps. Then create a new database. >commit.bat servername newcreateddatabase sqlserverusername sqlserverpassword Press Enter key. 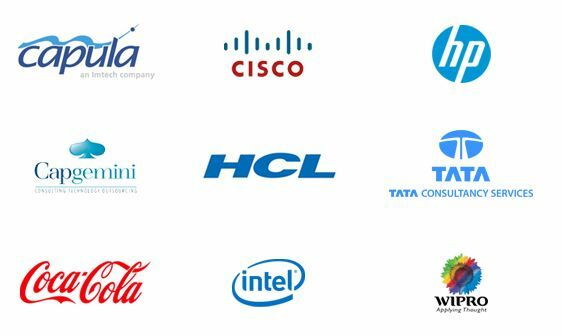 All tables will be copied to the newly created database. Welcome Screen of Kernel MDF Viewer tool. Adding MDF file for recovery with the Browse option. Manually selecting the SQL database version. Display of contents and objects within the MDF file. Previewing the items of the MDF file. Liked the clear and descriptive Graphic User Interface of the software. Understood everything clearly. Good job! "Mind-blowing and risk-free Tool. Highly recommended on my part." The management and support team are very co-operative while handling queries.